General Art Guidelines: We can accept most digital file types for reproduction. Vector art files work best as they can be resized infinitely while keeping the image sharp. We accept Raster art files as long as they are at least a minimum of 300dpi at physical product size or greater. To send us art files: FIRST place your order, SECOND reply back to your order confirmation email, THIRD attach files and type any special instructions for our graphics department. If you requested a proof in your order options, you will receive a mockup in your email in 24-48 business hours. Alternate Files Accepted: We can accept any Microsoft office file as well. This may be useful if you want to create your own layout, fonts, colors. Please make sure any images embedded are high resolution. We will optimize if needed. Design Services and Fees:If format or artwork is not acceptable, we will reach out to obtain better artwork. We do not charge for up to 15 minutes of graphic work to retouch, reformat or recreate artwork that is inadequate for the item desired. We can also recreate, redesign or design original content which is billable at a rate of $60 per hour in 15 minute increments. Fonts and/or Typestyles: Below are some typestyles that can be used. In addition to those listed, we will accept any native Windows, or Google Font. We have many others available. If your font desired is neither a Windows or Google font, please convert all text to curves to ensure that we can reproduce your artwork correctly. One Color Items: If the imprint on the item is 1 Color, please send black and white artwork. Gradients are typically not possible on 1 color items. In some cases we can convert it within 15 minutes, in other cases it may not be possible. We will reach out via email if needed. Engraving Files: Best files are black and white vector files. If not, please make sure it is a black and white or grey scale image at 300 dpi. The black area of your artwork will be the engraving color. For example, if the color of the engraving material is Red / White engrave - the background will be Red and the artwork you send over in Black will engrave White. 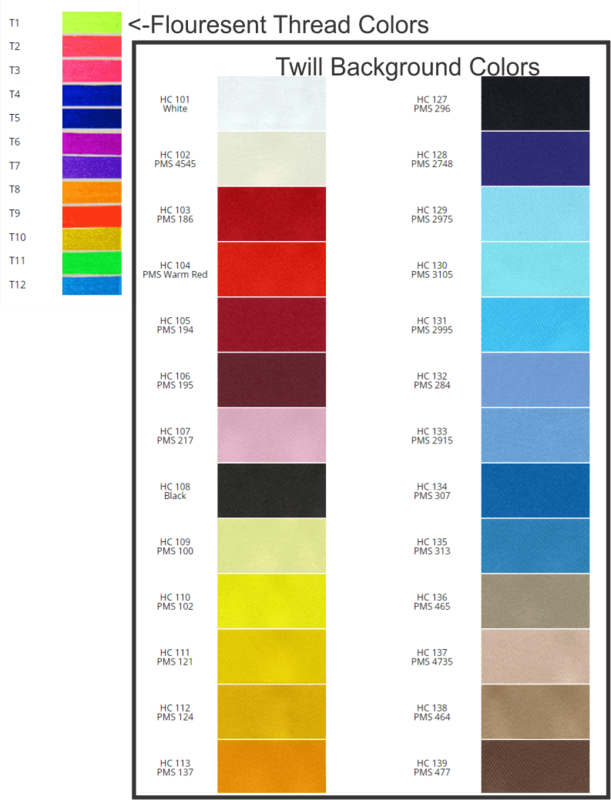 Colors: Depending on the method of printing, we produce items using the CMYK color spectrum or the Pantone Matching System. 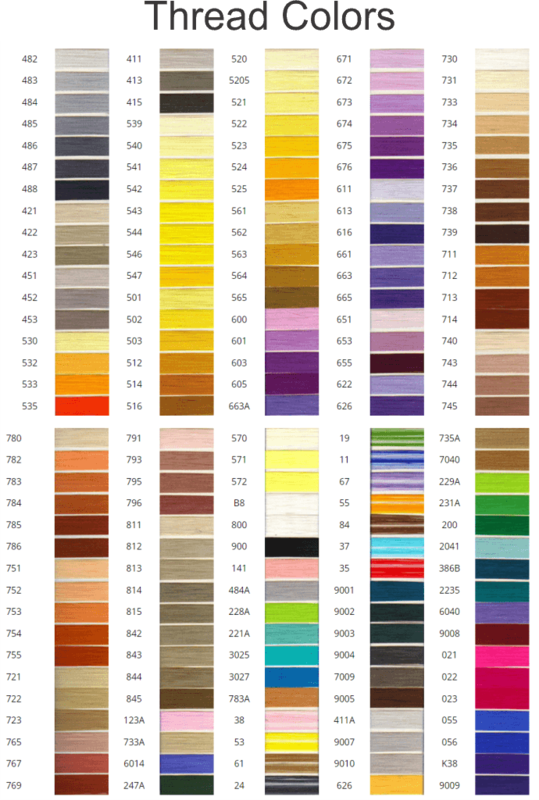 We cannot guarantee color reproduction on many items, so please contact us if that is needed. 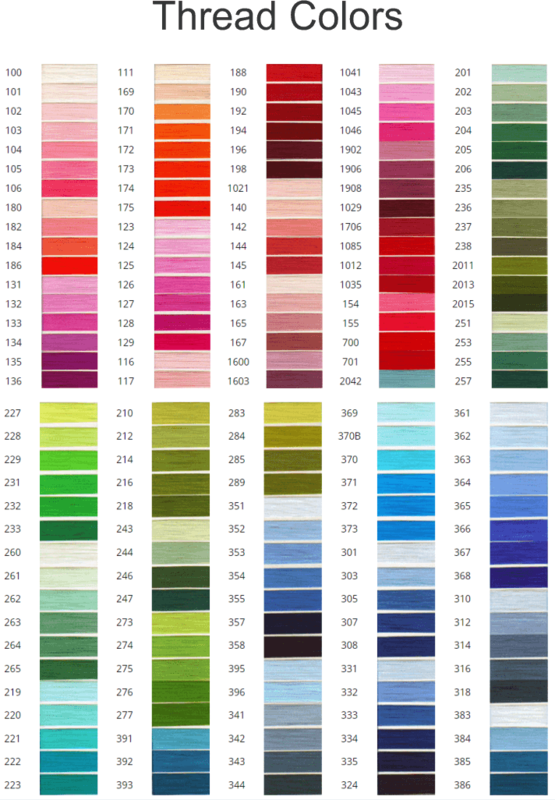 If Pantone number is provided, we will try to match as closely as possible. Any specifics can be noted during checkout on the ORDER COMMENTS section. In some instances we can match, but it may involve an additional fee. Embroidery: The files needed for embroidery are .dst files. They are created in a specialized program by hand drawing, stitch by stitch from supplied artwork. Typically this carries a one time setup cost per size and logo. We will try to match colors with embroidery thread. 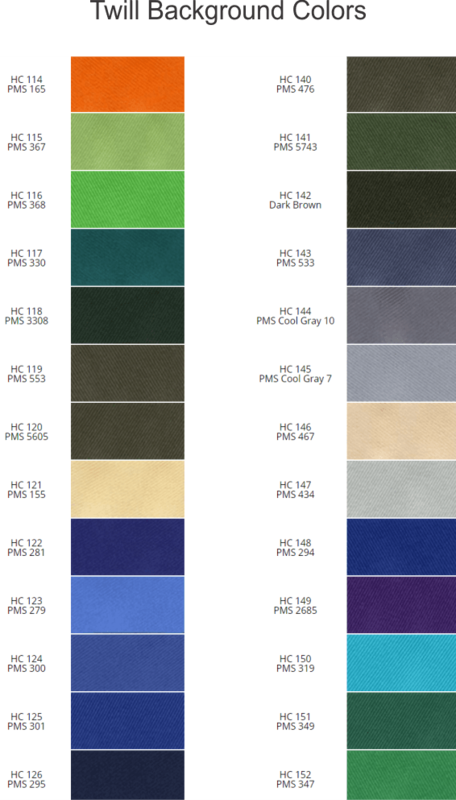 If needed, you can provide the colors you wish to use from the list below.